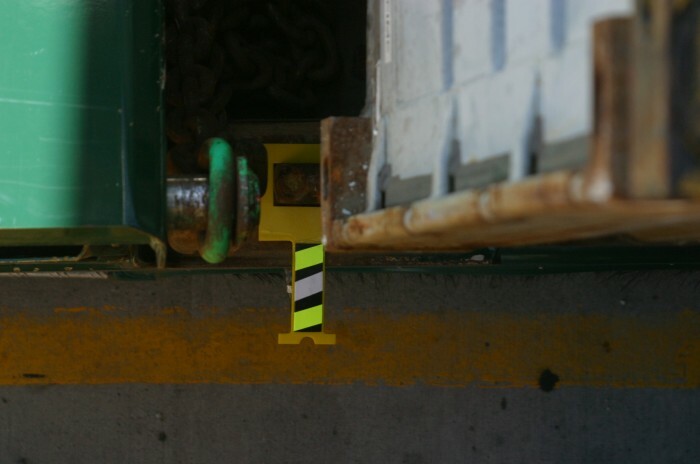 An indicator (1) to provide a visual guide and assist a user in coupling a container, in particular a shipping container, to a support surface, such as a trailer or a ship deck, is disclosed. The support surface has at least one support coupling fitting, and the container has a complimentary container coupling fitting or fittings. The target indicator (1) is configured to at least partially encircle a support coupling fitting and includes an attachment (2) with a high-visibility exterior. 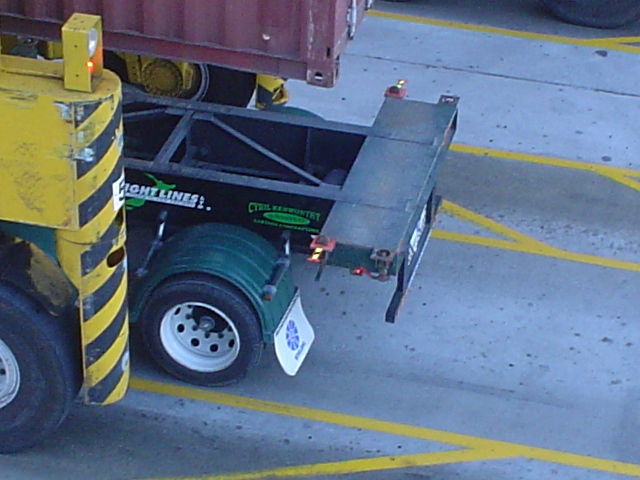 This product is a simple yet effective visual aid for the straddle operators that load container trailers on a daily ∋ghtly basics ,the benefits are faster load times,reduce the risk of damage to trailers. Please remember the cabs of such wharf/dock machines are 30ft in the air . I am seeking a company with strong manufacturing ,marketing ,distrubition capabilities to license to manufacture this product which solely pertains to the container trailer transport market in the form of royallties or form a partnership. This product is currently being sold in NZ with good results,however it is a very small market here in NZ. Market size globaly : there is an estimated 16 million container trailers ,growing by 20.000 a month .each trailer has a minium of four twistlocks-16 million x 4 = $$$$$? to the right company. Therefore a huge market awaiting to be tapped into,for futher infomation ,please veiw my web-site. Page created at 2019-04-25 20:25:54, Patent Auction Time.